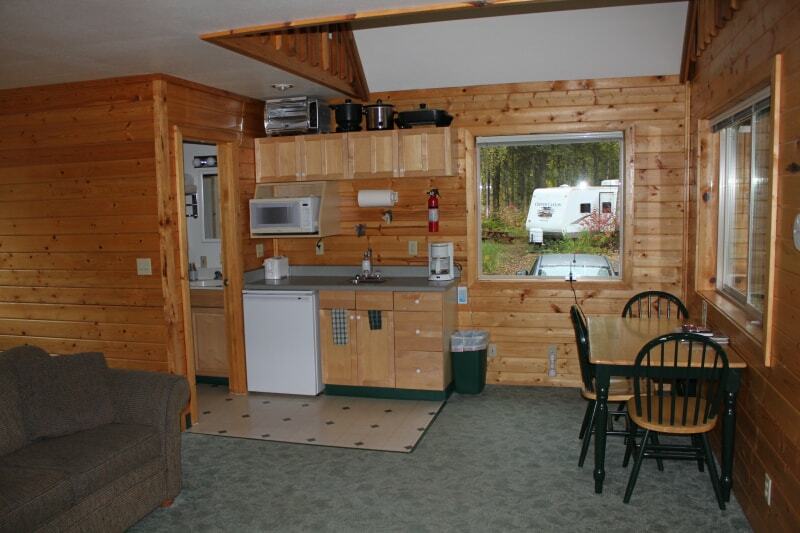 Each Alaska cabin has a private full bathroom, dining area, and living area on the main floor. 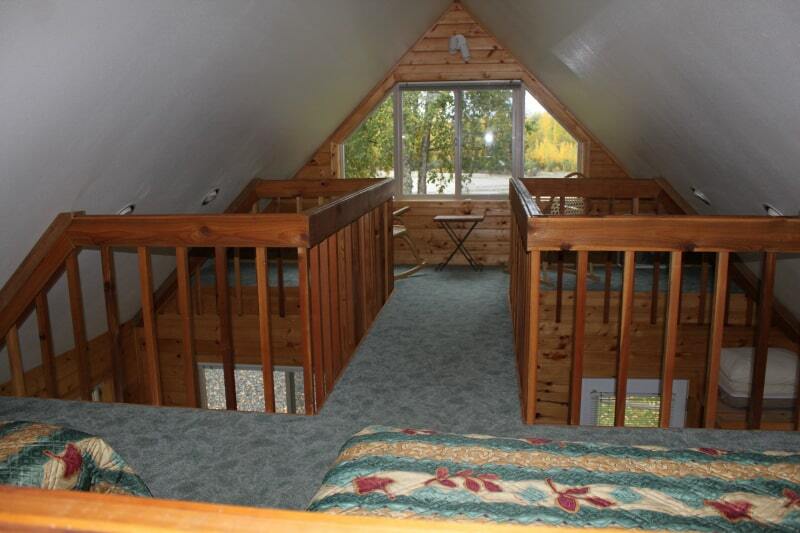 There is also a roomy loft for any overnight guest, complete with cozy sitting area that has a view of the sunset in the summer or the Northern Lights on a clear winter night. The cabin kitchenettes have a refrigerator, microwave, toaster and coffee maker. They are also furnished with dishes and cutlery. Each cabin sitting and dining area offers plenty of room for you and your guests. Our Alaska cabins can each accommodate 5 adults with one king bed and sofa sleeper downstairs and two twin beds in the loft. The separate sitting and dining area offers plenty of room for you and your quests. These Alaska Cabins also have picnic tables with outdoor grills if you want to cook up your catch of the day while enjoying the river and mountains view. *Pets allowed in cabins only. $15 fee charged per pet. Prior approval required.